I’ve since learned that I’m not the only one. Apparently it’s a pregnancy thing. 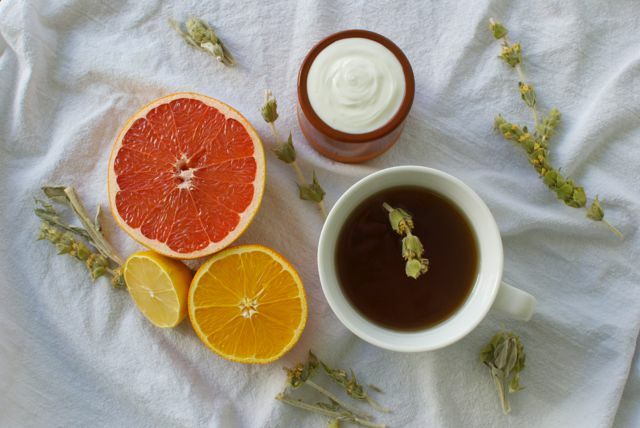 Pregnancy + citrus = match made in heaven. 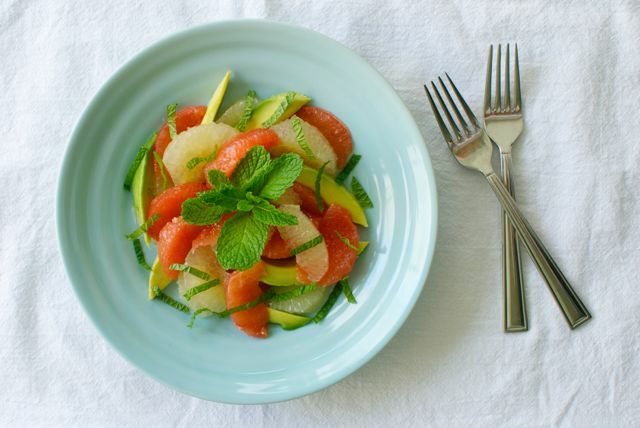 Which is why I’m sharing this Grapefruit and Avocado Salad today. See, today is a special occasion. 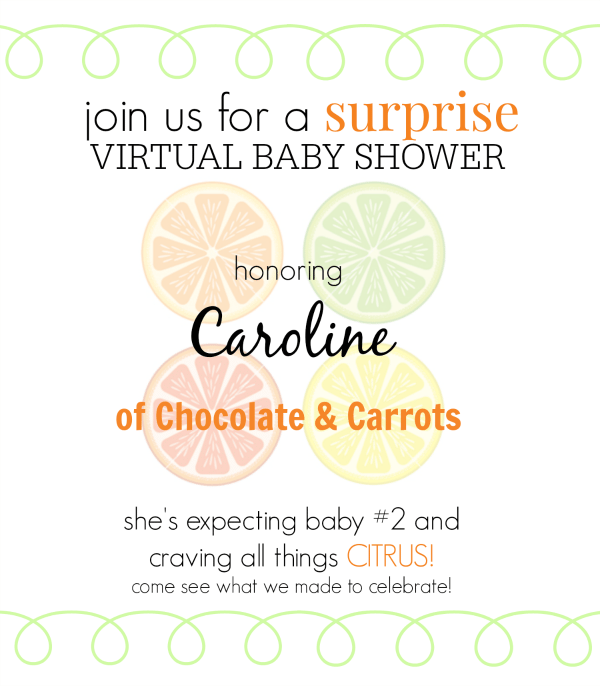 It’s a surprise virtual baby shower for my friend Caroline, the talented chef and photographer behind the blog Chocolate & Carrots. Surprise!! 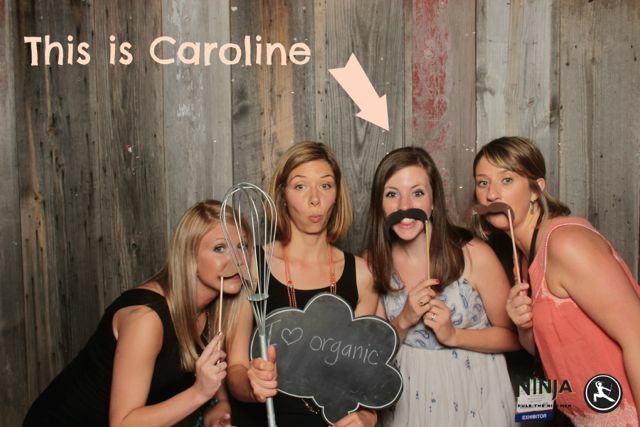 Welcome to your baby shower, Caroline! Caroline and I met at BlogHer Food in 2013, and we’ve since become blogging buddies. When I found out she was pregnant with her second baby, and also craving all things citrus, I just knew I had to “bring” this Grapefruit Salad to her virtual baby shower. So here it is. The salad I still can’t get enough of. 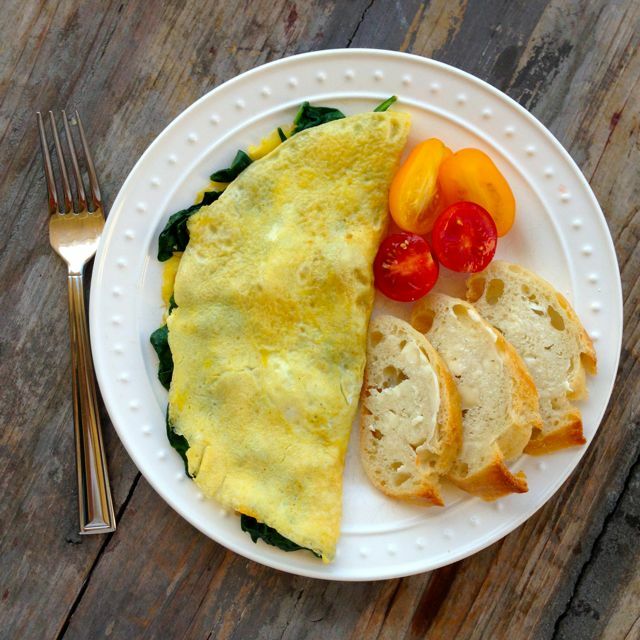 This dish is a perfect accompaniment to a comforting winter entree or can be turned into a light & healthy meal when served with grilled shrimp or chicken on top of some extra greens. 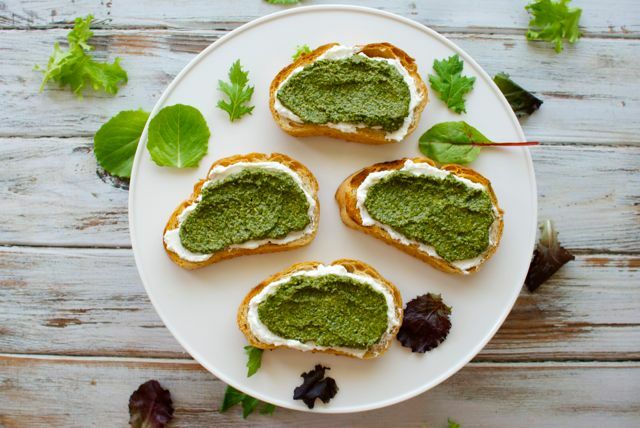 Pregnant or not, you’re going to love this salad! Caroline, I’m wishing you all the best as you become a mama of two! Life will definitely be crazier, but it’s such a joy to watch your kiddos develop their own relationship, and to see that your second baby looks at your first with complete and total adoration, just as you do. A bright, fresh and juicy salad that makes the perfect light meal or side dish during the otherwise dark months of winter! Using a knife, peel the grapefruits and cut off any remaining white pith. Slice the avocado into medium-thin wedges, and add to the bowl of grapefruit segments. 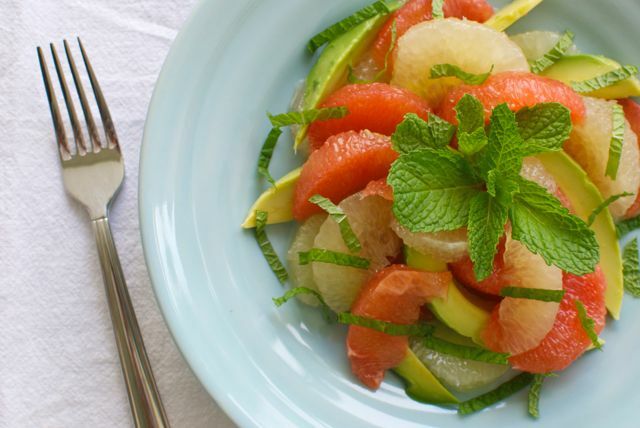 Add several tablespoons of fresh chopped mint, a tiny pinch of salt and a drizzle of honey. Toss gently to combine and taste for seasoning. Add black pepper, more honey and/or a little drizzle of olive oil if desired. Erin, that doesn’t sound ridiculous AT ALL. One of the main reasons we remain in Southern California (as opposed to moving somewhere way more affordable and closer to family) is because of the year-round farmer’s markets. So I feel you, lady!! You have me in tears, Amelia! I’m so nervous about being able to juggle life with two children, let alone keeping up with blogging. Your grace, patience, consistent talent and amazing articles are something I aspire to be like. 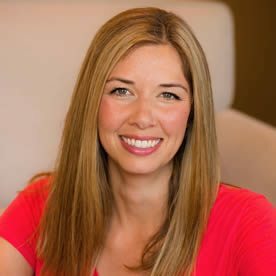 Thank you for your encouragement and inspiration to be both an incredible mother to two and maintain a beautiful blog. And a BIG thank you for the baby shower! 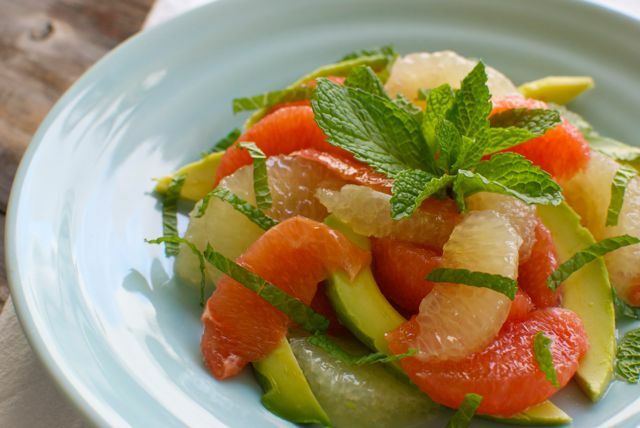 Citrus is my LOVE right now and this salad couldn’t be more perfect. I hope you and your beautiful family are doing great and thank you again! I can’t get over this salad!!! Love it so much!!! What a stunning salad that seems simple yet sounds so scrumptious! Love the addition of avocado and agree that it would be perfect alongside some chicken or shrimp. 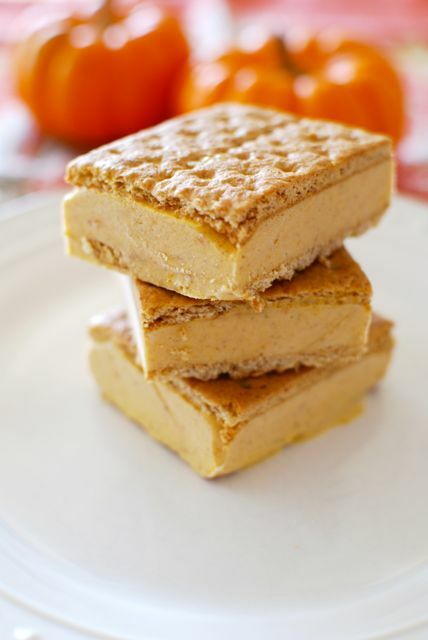 I’ve got to make this asap! Love it, Amelia! 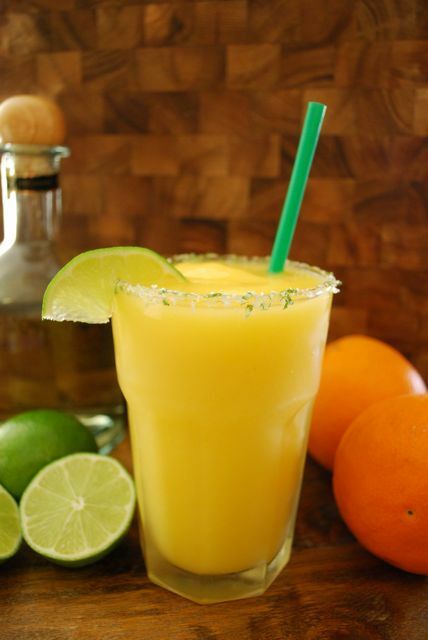 This looks so refreshing. Love all the colors in this salad. And I love that photo of your ladies. It’s adorable! 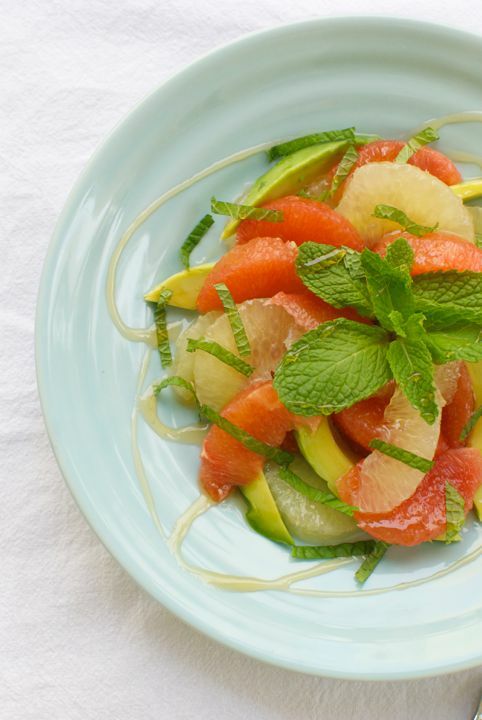 I always get hit with a MAJOR grapefruit craving around this time of year, and this salad is just the thing I need! I hope you like it, Joanne. Grapefruit is the best right now!